For this simply right click the aforementioned entry. 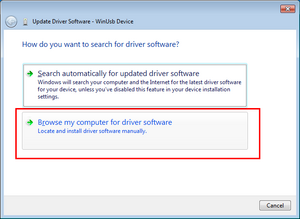 Go to section "Universal serial bus devices" and select WinUSB as driver. 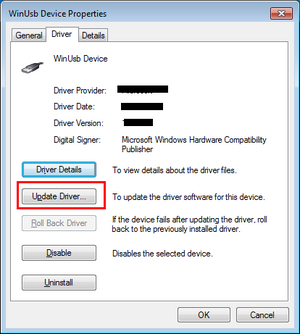 After this the J-Trace PRO should show up correctly as a WinUSB device in your device manager and the USB LED on the J-Trace PRO should have stopped blinking. 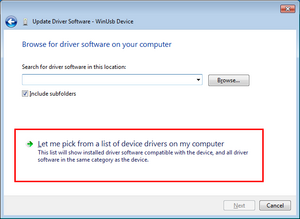 Should the J-Trace PRO never show up in device manager in the first place it is very likely that the USB3.0 controller on your mainboard has not been enabled yet. 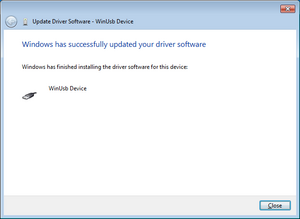 This can usually be done via the BIOS or UEFI during boot. For more information we recommend consulting with your mainboard manufacturer. This page was last modified on 21 February 2019, at 10:20.